From the "mille-fleur" period meaning "thousand flowers". This bell pull is loom woven. 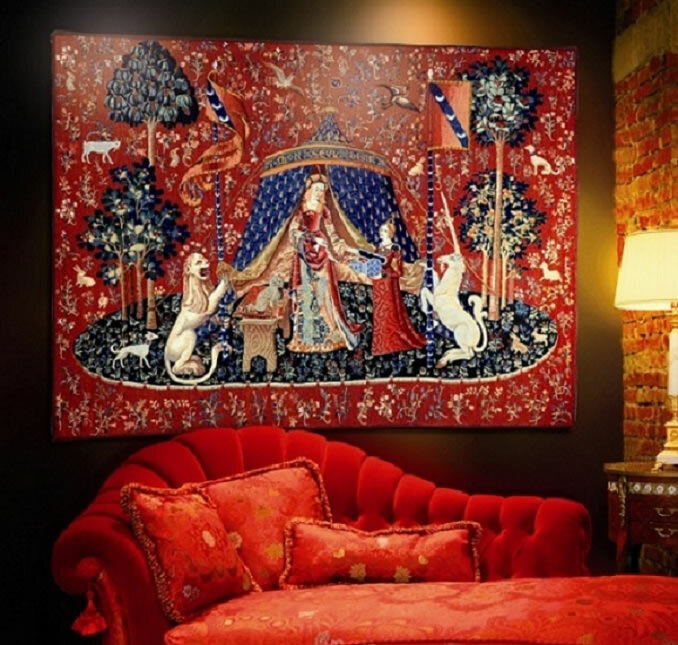 For more information on the bell pull header, please contact Classic Tapestries .